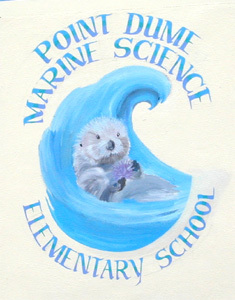 In the summer of 2000 the Pt.Dume ( Malibu, CA. ) 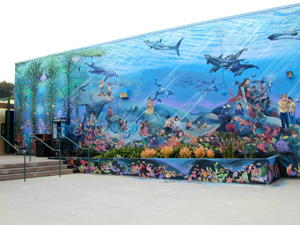 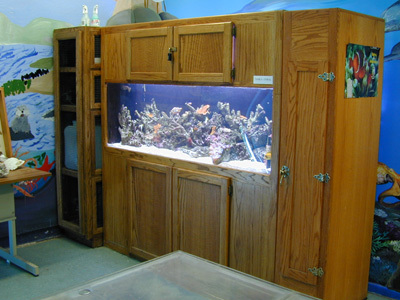 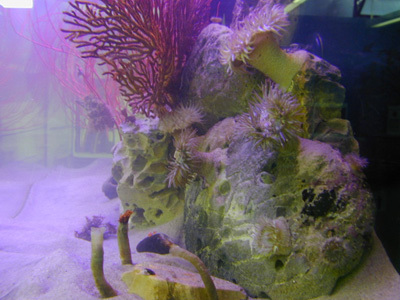 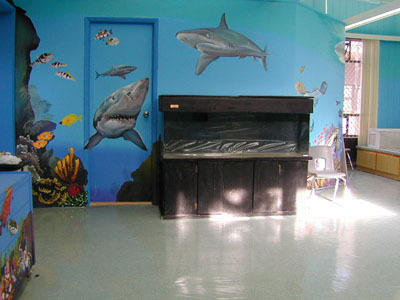 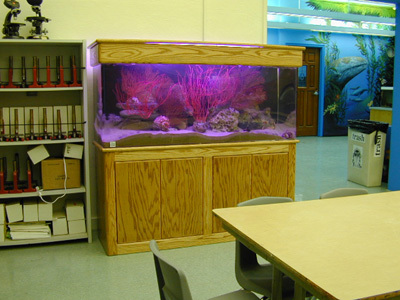 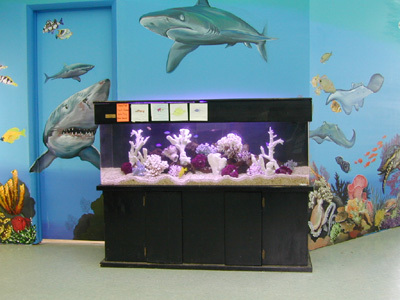 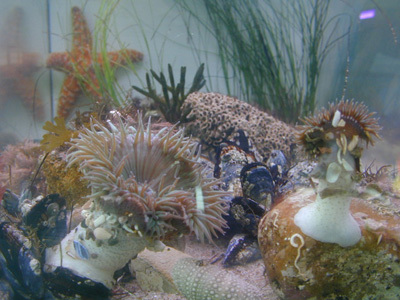 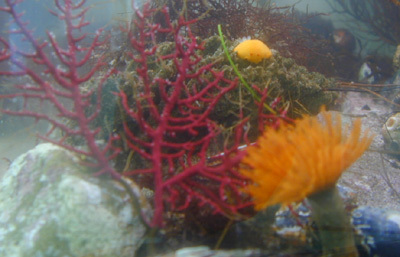 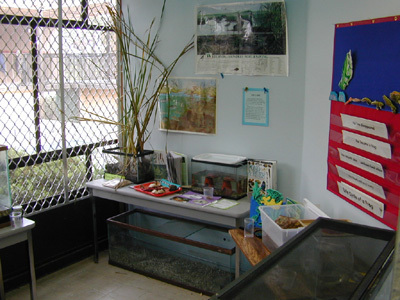 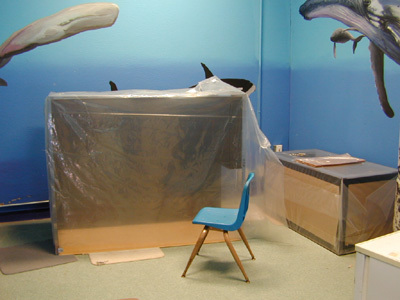 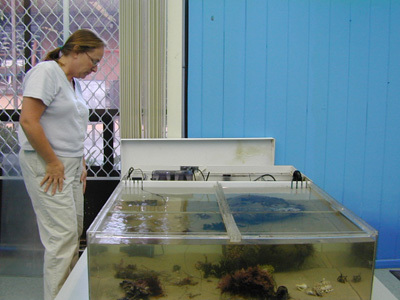 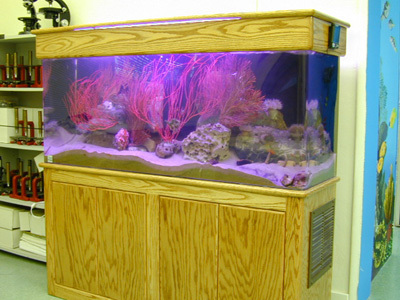 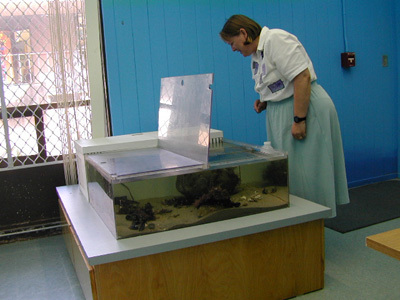 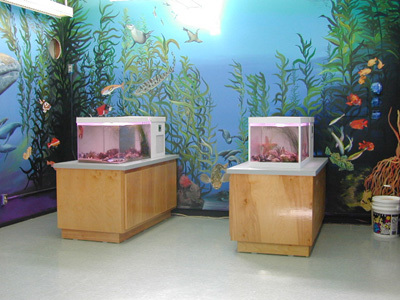 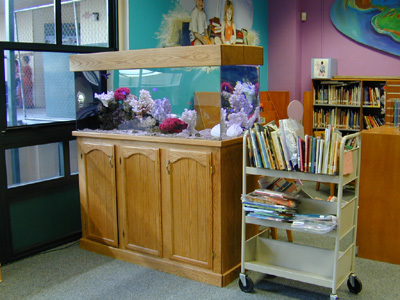 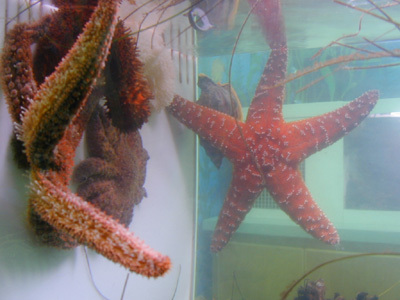 P.T.A., in association with the Malibu and Santa Monica School District, began an exciting project for the students, a marine science lab. 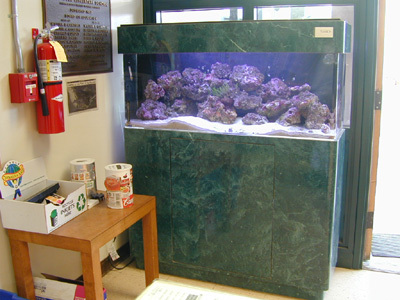 Multi-tank system will hold approximately 700 gallons. 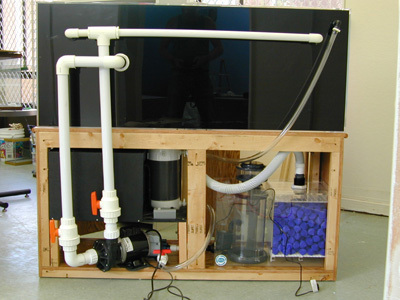 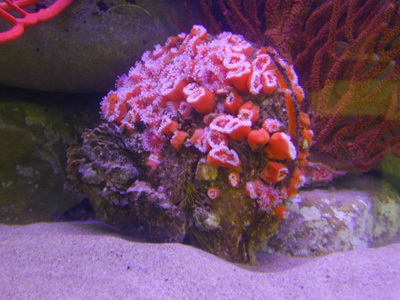 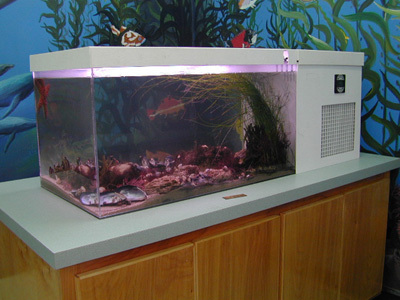 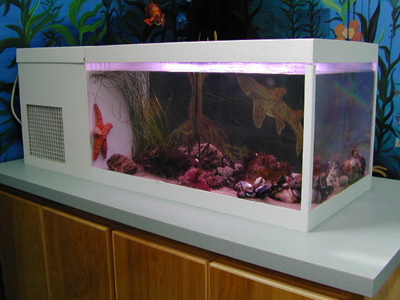 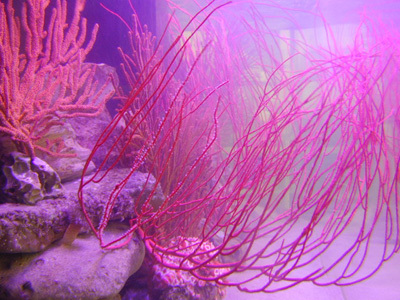 Will utilize an Algal Turf Scrubber with 'dump bucket' for filtration and kelp water movement.